Prepare yourself to be successful in police academy with TAC-1's Pre-Academy Firearms Traninig Program. Whether you are applying for LAPD, Sheriff's Office, CHP or any other federal, local agencies, take TAC-1's Pre-Academy firearms training to prepare and gain confidence in time for your acceptance letter. Let TAC-1 and the real academy firearms instructors teach you the firearms safety, basic fundamental, elements of marksmanship and proper LE handgun manipulation that will will be consistent with most LE programs across the country. Designed to introduce police academy candidates to the fundamentals of law enforcement firearms training to prepare them to excel in the academy training programs. Candidates attending this course does not need to be competent shooters - just a will to learn. The course is intended for shooters who are looking for basic introductory handgun safety, operation, and marksmanship as taught in police academies across the country. Those who already have basic knowledge of pistol shooting can also take advantage of this course to improve their shooting abilities to enhance their confidence entering into any police academy of choice. With high quality instruction and improved teaching techniques - let the REAL police academy firearms instructors help you excel in academy training. Academy recruits are first required to learn and practice proper firearms safety. 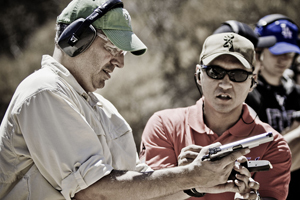 Learn the basics of Firearms Safety Rule and apply them on the range. Safety violations are one of the most common ways to get terminated due to the seriousness when it comes to firearms training. Before you can shoot well, you must be able to manipulate your weapon well. Often poor manipulations of the firearms directly relates to poor marksmanship. Proper manipulation of the firearms will ensure that the shooter remains safe at all times, be effective and most of all efficient when handing the firearms. Learning the proper marksmanship is not a easy task. When taught and learnt wrong, it will have a lasting effect on the shooter. This is why is is crucial that you seek qualified instructor to teach you proper marksmanship early in your shooting career. Police and Sheriff departments understand this well therefore they would recommend candidates from seeking firearms training prior to entering the academy. We will ensure that you will learn the right fundamental at TAC-1. "I don't own a gun to bring to the class. Do you rent firearms?" Yes, we do. We rent S&W M&P 9mm and Glock 9mm for this class. These are one of the most common handguns currently being issued at many of the agencies. "I was recommended not to seek firearms training before the academy. Will this cause problems?" It is true that when applying they tell you to refrain from seeking firearms training. This is to prevent candidates from learning bad habits that they could acquire from poor instruction and learning. Often they tell you to even stop going to shooting ranges and wait for proper instruction at the academy. TAC-1's Pre-Academy is design to teach the students of proper handing of handguns as taught in academies. Many of the concerns posed are resolved and the instructions are true to the discipline in many of the academies. "How does this class help me in the academy?" 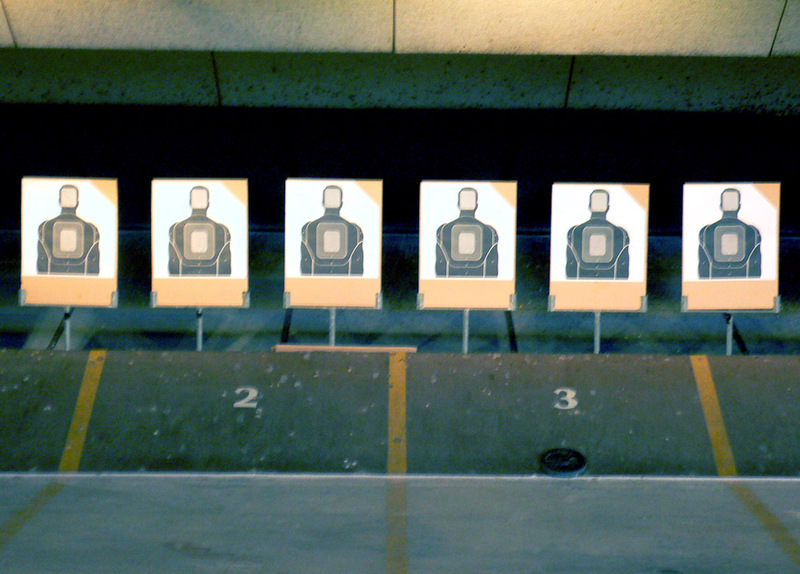 When candidates don't have any shooting experience, it can be daunting to go into the academy not knowing much. It is a well known fact that the #1 failure in academy is and has always been the firearms portion. We lose more recruits due to failure in firearms than any other curriculum. Shooting is known as psycho-motor skill where the out come of the performance is greatly influenced by the shooter's mindset. More confident the shooter is the result is positive. In attending TAC-1's Pre-Academy Training Program students will build more confidence and peace of mind being prepared prior to entering the academy. "What is the right timing to attend TAC-1's Pre-Academy Training Program?" There is no magical time frame to attend our Pre-Academy Training Program. Shooting is a perishable skill where when one stops shooting, the skill will gradually deteriorate. Many police officers who do not continue to practice and train after the academy training, many suffer from poor marksmanship often embarrassing themselves during department qualification. TAC-1 Pre-Academy can be taken prior to or during your application process with any of the agencies. When given a hiring date and when class schedule permits, immediately seek our training before entering the academy as most academies will not allow their recruits to shoot off property during their training. "I am a sworn officer having difficulty qualifying. Can you help me get better?" Absolutely! We recommend that you enroll in our Pistol-I(b), the second module of the Pre-Academy Training. This class will examine further on the Elements of Marksmanship and attempt to identify and find solution for common shooting errors. Come and join us. "How does TAC-1 know so much about Police Academy Firearms Training?" 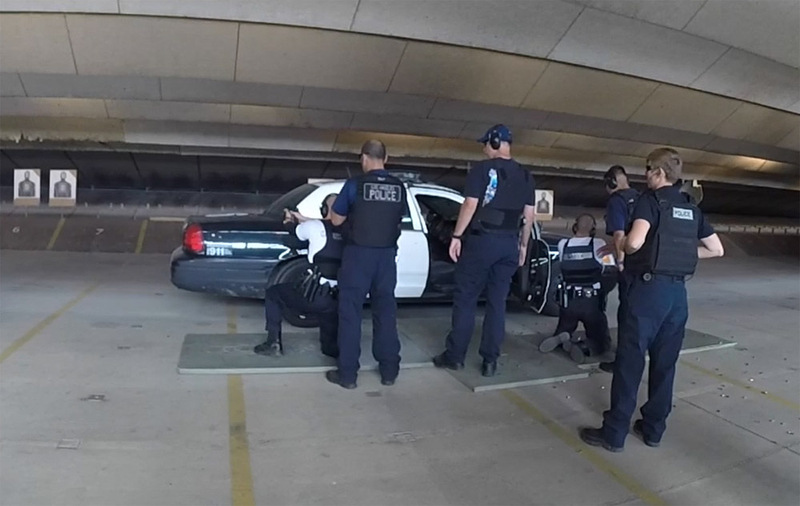 Many of our instructors are full time sworn police officers assigned to LAPD's Fireams Training Section instructing daily at the academy. Many of the instructors are primary firearms instructor for an academy class with profound knowledge of the curriculum. Students are introduced to the concept of basic weapon operation. Students are introduced to the concept of weapon operation such as reloading and malfunction clearnce. 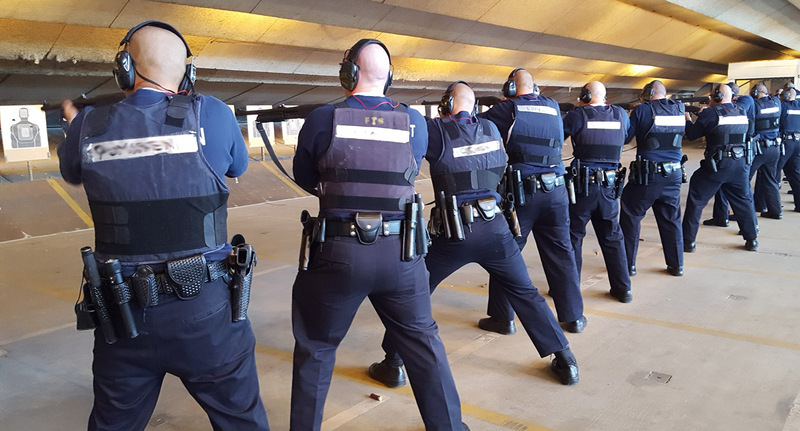 Each Police Academy firearms training programs have an unique curriculum and policies governing their use of firearms. All academies must meet the standard set by their individual state's POST (Peace Officer Standards and Training) requirements. Firearms tests are not the same from agencies to agencies. All courses of fire are designed by the corresponding agencies to evaluate their recruit's skill set. TAC-1's Pre-Academy Training Program does not reveal any known courses of fire nor answers to the test to maintain the integrity. TAC-1 Pre-Academy Training Program is designed to work on the elements of shooting needed to be successful in the basic academy training.